The commitment of our founders to foster a “spirit of love and charity” has stood the test of time and remains as important to Alpha Phi today as it was in 1872. Practicing generosity and seeking to improve the lives of women are basic tenants of our Fraternity. 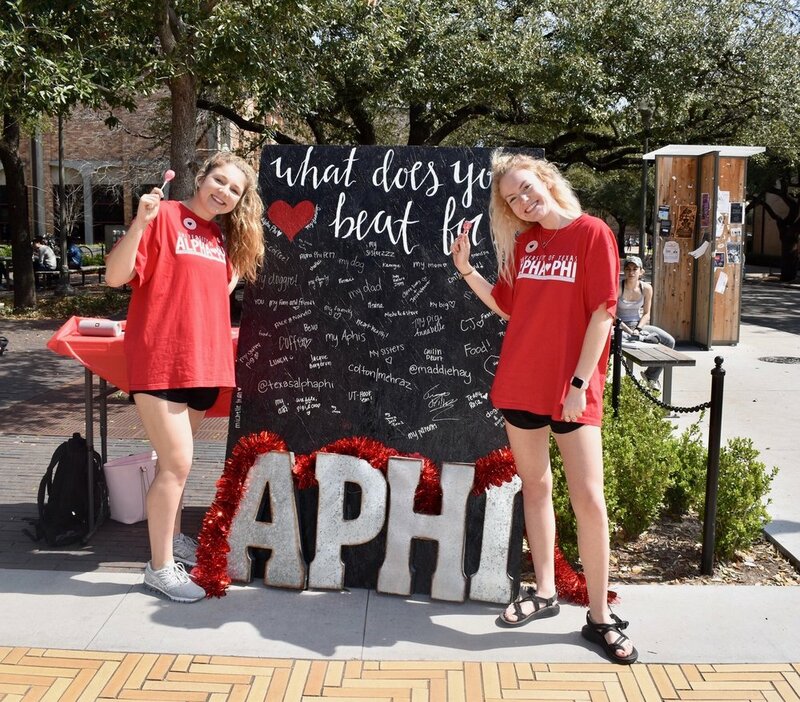 The American Heart Association and Alpha Phi have partnered to create the Alpha Phi Foundation. Alpha Phi Foundation supports Alpha Phi Fraternity, our members, and the communities in which we reside in their pursuit of advancing women’s lives now and into the future. This includes programs that help women grow in leadership, provide scholarships to undergraduate and graduate students, contribute to Forget Me Not assistance grants, and support research and education essential for promoting heart health. Through our annual Heart to Heart Grant, Alpha Phi Foundation helps fund research and educational programs that support the improvement of women’s heart health. This Grant awards a $100,000 annually to medical professionals to better understand heart disease in women—specifically its symptoms, treatment, and prevention. In 2017, the Heart to Heart Grant was awarded to the Texas Heart Institute in Houston, Texas. Alpha Phi has created multiple events that are held throughout the school year in order to support the Alpha Phi Foundation. These events include our fundraisers that we such as Mac and Phis, Heart of Texas BBQ, and Brunch for Lunch. Our Annual Red Dress Gala is our largest fundraising event of the year, and it takes place in the Fall. Alpha Phi provides many opportunities for women to make a difference in the lives of others by contributing their time and talents. 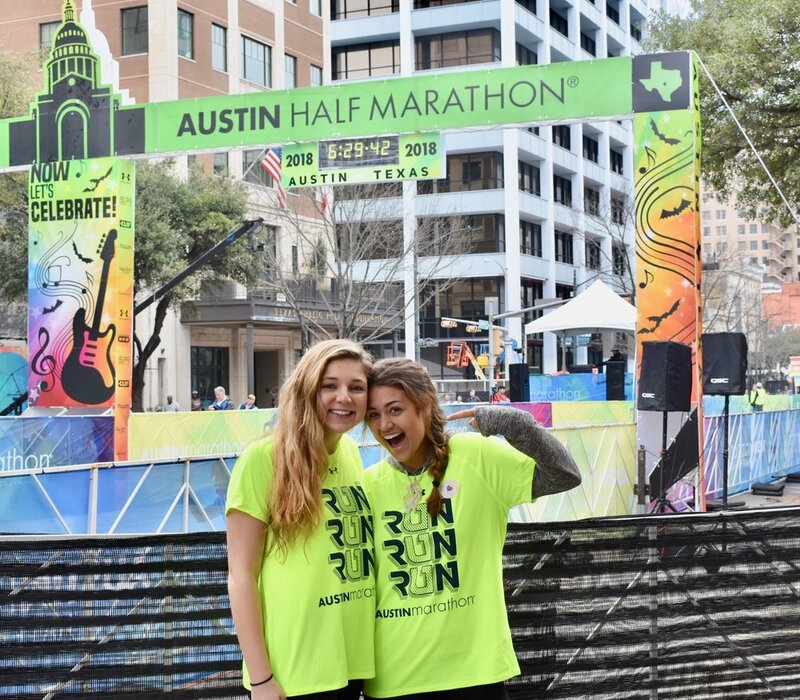 From organizing campus philanthropic events to volunteering their time, our members are making a positive impact in the Austin community! Our annual Heart of Texas Cookout with the Texas Cowboys is complete with a petting zoo, delicious food, and a live band. The money raised goes to the Cowboys philanthropy, The Arc of the Greater Area, as well as the American Heart Association. Our Heart of Texas Cookout continues to be a success across campus. Our biggest philanthropy event of the year is the Red Dress Gala. Members of Omega are encouraged to invite friends and family to the event which is held in a local banquet hall. A live auction along with donations allow us to make yearly contributions in thousands of dollars to the Alpha Phi Foundation! Mac n' Phis is our fall philanthropy event with an all you can eat macaroni bar! Students swing by for lunch on their way to and from class, get their faces painted, and visit the petting zoo! In addition to our annual philanthropy events, our members are busy giving back to the community both locally and around the globe!